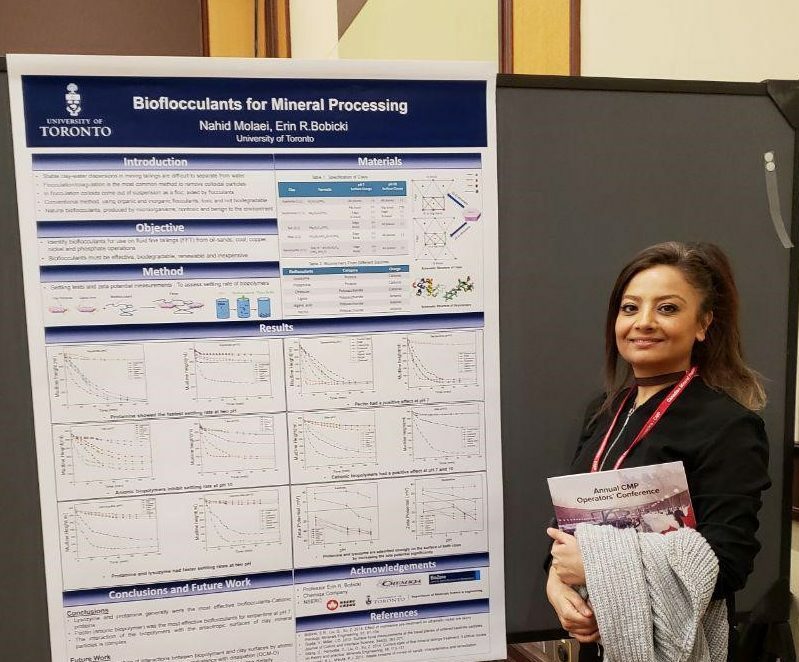 Congratulations to Nahid Molaei, MSE PhD candidate, who received the Best Poster Presenter Award at the 51st CANADIAN MINERAL PROCESSORS (CMP) CONFERENCE. The CMP Conference featured presentations on various aspects of mineral processing including comminution, flotation, gold and iron ore processing, mineralogy, mill optimization, and process control. Nahid Molaei is part of the Sustainable Mineral Processing Laboratory directed by Prof. Erin Bobicki.